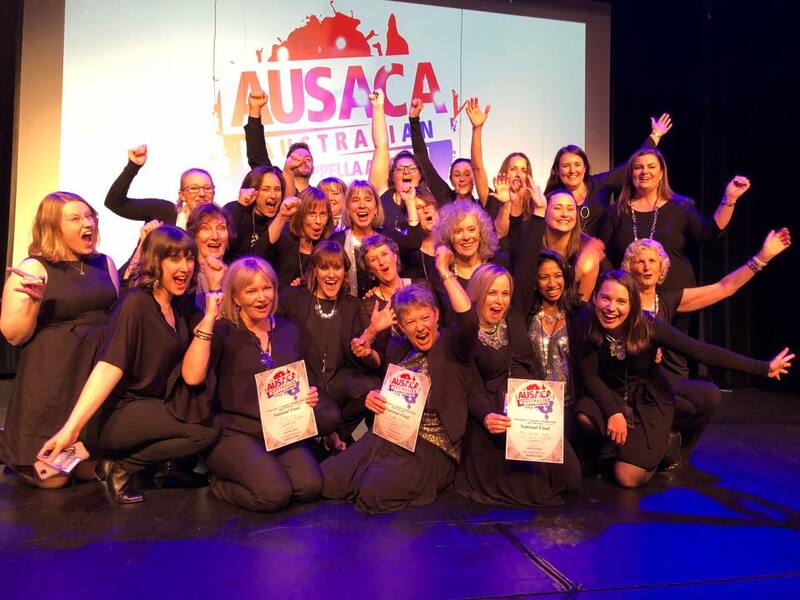 In early September 2018 we flew to Melbourne to compete in Vocal Australia's #AUSACA Australian A Cappella Championships. We were so humbled, thrilled and shocked to be awarded second place in the ‘Open Ensemble’ division of the competition, and the Best Newcomer award!! The result is beyond our wildest dreams! Congratulations to all the diverse groups who crossed the stage from around Australia and New Zealand. The a cappella bar continues to be raised year after year and the culture which we share is something beyond special. A massive thanks to Amelia Alder and the whole Vocal Australia team and all of the volunteers who have worked tirelessly for this event. Also, to the incredible judges and coaches for your wisdom and inspiration in the workshops and encouragement to always be better. None of this could happen without you.